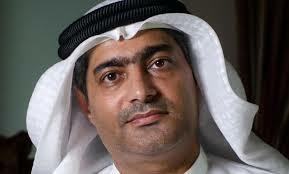 The letter, organised by the International Campaign for Freedom in the UAE (ICFUAE), calls on the Emirati authorities to “immediately and unconditionally release prisoner of conscience Ahmed Mansoor“. It was signed by academics, activists, British politicians, and comedians, including linguist Noam Chomsky and actor Stephen Fry. Joe Odell, a campaigns manager for ICFUAE, said: “We urgently call on other attendees to follow suit. The festival claims to celebrate freedom of expression, yet so many in the UAE have been detained for exercising this very right,” Other prominent writers billed to speak at the festival include Oxford University professor Peter Frankopan, Canadian novelist Douglas Coupland, and author Ian Rankin. Robinson’s decision to withdraw from the festival may also be linked to a controversy surrounding her in relation to Sheikha Latifa al-Maktoum, the daughter of the Emirati Prime Minister. An interesting local idea: the Liberian Coalition of Human Rights Defenders (LICHRD), in collaboration with the Independent National Commission on Human Rights, will from Tuesday through Wednesday December 4-5 hold the first annual National Human Rights Book Fair in Monrovia. The event is a prelude to the celebration of the International Human Rights Day . via allAfrica.com: Liberia: First Annual National Human Rights Book Fair Insight.